Sermon for Easter 7: "Kept in the Name"
Names are important. Huntington Beach is known around the world as Surf City, USA. Parents choose their children’s names with meaning, family history, or the way a name sounds: Zoe is the Greek word for life in the New Testament; Jonah is Hebrew for dove and Jesus names Jonah when he gives the sign of Jonah predicting his own resurrection. We name our instruments, cars, boats, and airplanes, as our own Steve Snyder has written about. Names are important in everyday life. And even more so in Scripture. Adam means earth for he was created from the dust. Abraham means father of many nations, for from his offspring comes one who will bless all nations. Even God has a name he gives his people to call upon: YHWH, the Lord, Jesus (which means YHWH saves), and many more. As we pray in the confession every Sunday: Our help is in the Name of the Lord, who made heaven and earth. 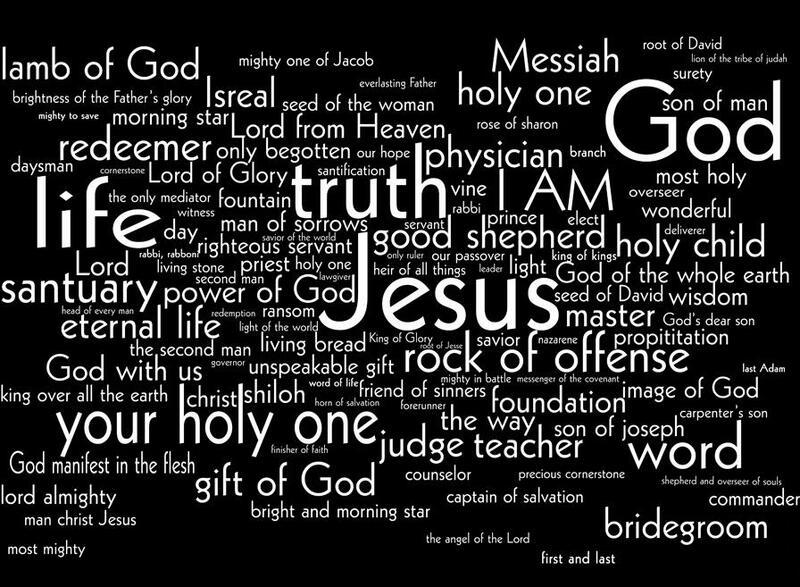 Along with Jesus’ many names, he has many titles. He is prophet, fulfilling and proclaiming God’s Word as the Word made flesh. He is King, who rules and reigns in his death, resurrection, and ascension for us. Wherever YHWH’s name is, there is his peace, presence, and blessing. Miriam and the host of Israel sang of God’s salvation by the shores of the Red Sea: “I will sing unto YHWH (the Lord), for he has triumphed gloriously, the horse and rider he has thrown in to the sea.” God kept Israel safe and saved them by his name. The Psalms are full of similar songs of praise, such as Psalm 100: YHWH is good; his steadfast love endures forever, and his faithfulness to all generations. God promises to keep us in his steadfast love by his name. Immanuel, God with us. Through the prophets, and down through the centuries, God kept his promise by his name and revealed his name in yet another way. No longer would the Name of the Lord be seen in the burning bush. No longer would the tabernacle and temple be the place of God’s dwelling. Now YHWH’s glory, peace, presence, promise, salvation, blessing, and his Name, would be made known to you in the God-man Jesus. That’s what the name of Jesus means: YHWH Saves. This is what the Father sent His Son to do, save you, me, and the world by his name. It’s good that Jesus gives us an example of prayer, as he does in the Lord’s prayer. We pray hallowed be Thy name. But even the best examples God gives us still reveal our sin. 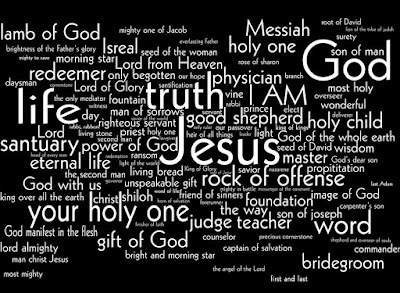 Because even though it’s true that God’s name is holy in itself, we don’t always keep God’s name holy among us. We curse, swear, or deceive by his name. We fail to call upon his name in every trouble, pray, praise, or give thanks to him. We live contrary to God’s name and the name he baptized us into in our thoughts, words, and deeds. Jesus prays that we would be one, and yet we quarrel and bicker with our fellow brothers and sisters in Christ, we sow discord and despair with our words to others. We see the church in this country and around the world plagued by false teaching that profanes the name of the Lord in the church and among the unbelieving world. As St. Paul writes in 1 Corinthians 6, And such were some of you. But you were washed, you were sanctified, you were justified in the name of the Lord Jesus Christ and by the Spirit of our God. This is why Jesus prays for his disciples and for you. That you would be kept in the Father’s Name. It’s good that Jesus gives us an example of prayer in the Lord’s Prayer. But it’s also good that Jesus prays for us, to keep us in the name of the Lord. That’s Jesus’ work as our great high priest; he is constantly praying for us, intereceding on our behalf, showing the Father his wounds that cover our sin, pleading with the Father to look, not at the filth of our sin, but at the blood of his cross. Jesus is enthroned forever as God and man, your advocate, so that you hear in this place that your sins are forgiven in the Name of the Father and of the Son and of the Holy Spirit. This Lord who keeps you in his name also calls you by name, writes your name in the Lamb’s book of life. Jesus reveals God’s name for you, YHWH saves. Jesus saves you. Jesus gives you faith in his Word, that by believing you may have life in his name (John 20:19-20). Jesus joins you to his own death and resurrection; he keeps you in the ark of his church in Baptism where you are washed with water and word in the name of the Father and of the Son and of the Holy Spirit. Jesus promises that wherever two or three of us are gathered in his name, he is with us in the water, word, body and blood where he promises to dwell with us and for us. As we come to the Lord’s table to receive his body and blood for our forgiveness we sing, “Hosanna to the Son of David! Blessed is he who comes in the name of the Lord! We come into God’s presence in Divine Service in his name, and we are sent out again into the world, into our vocations in his name at the end in the benediction as well. Jesus sends his church into the world to teach his Word and baptize in the Name of the Father and of the Son and of the Holy Spirit, promising to be with us always, to keep us in his name. Jesus calls us in our Baptism to honor Christ the Lord as holy, always being prepared to make a defense to anyone who asks you for a reason for the hope that is in you. As Jesus prayed for his disciples and sent them out, so too, he prays for us and sends us out into the world to declare the name of the Lord, who called us out of darkness into his marvelous light. Holy Father, keep us in your Name. 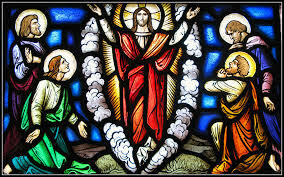 Sermon for the Ascension of our Lord: "Jesus' Story"
Note: Special thanks to Rev. Dr. Carl Fickenscher in the Series B, 2009 Concordia Pulpit resources (volume 19, part 2) for the theme and influence in this sermon. You can read The Lord of the Rings without reading The Hobbit or The Adventures of Huckleberry Finn without first reading The Adventures of Tom Sawyer. And you can certainly enjoy watching Disney’s Finding Dory without having seen Finding Nemo first. But sometimes the sequel doesn’t make much sense until you read book one or watch the first movie in a series. The story of Jesus is no different. Listen to how Luke begins the book of Acts. Luke is directing our attention back to his Gospel, the first book. Perhaps, like many readers who get to the end of a good book, Theophilus wanted more. Well, here’s the sequel in the book of Acts. In Book One, Luke records the details of Jesus’ life, ministry, death, resurrection, and ascension. Book One ends with our Gospel reading for today, 40 days after Jesus’ resurrection from the dead. And yet, Luke tells us, this is only what Jesus began to do and teach. Like all good authors, Luke left the story of book one open for a sequel. The Book of Acts is Luke’s Book Two. If Book One is the story of the work Jesus began and accomplished for us on the cross, Book Two is the story of how Jesus’ work continues through us. If book one is the story of the Gospel, Book Two is the story of Jesus’ gospel in the lives of his people then and now. And of course, to understand all that, Book One is required reading. Luke wants us to read and hear his books together. Because without Book One (Luke’s Gospel), Book Two (the Book of Acts) doesn’t make sense. Without Luke’s Gospel we wouldn’t know the main characters in the book of Acts – Jesus, Peter, and the apostles. Without Luke’s Gospel, there’s no Book Two. Both Luke and Acts are about Jesus. It’s Jesus’ story. Jesus’ life. Jesus’ death. Jesus resurrection and ascension. All for you. Book One is the historical account of everything Jesus did for you. Jesus was born for you. Jesus lived a perfect life obedient to the Father for you. Jesus laid down his life for you. Jesus defeated sin, death, and the devil for you on the cross for you. Jesus rose again from the dead, assuring us of our resurrection from the dead. In Book Two, Luke assumes we’ve read and heard this story before. He presented himself alive to them after his suffering by many proofs, appearing to them during forty days and speaking about the kingdom of God. Without Jesus’ teaching in Book One, there would be no Word to proclaim in Book Two. Without Jesus’ suffering and death, there’d be no reason to speak. And without Jesus’ resurrection there’d be no hope; the story would be over. On the other hand, without Book Two, the meaning of Book One would have been forgotten long ago. Book One isn’t the end of the story. Luke’s Gospel isn’t the kind of book we can read and just let dust gather on the shelf. In Book Two, the story of Jesus’ work, word, and teaching for us continues – and it continues through us as well. Jesus’ ascension may end his public ministry on earth, however, it’s not the end of the story. The story of Jesus’ death and resurrection continues in Book Two. He presented himself alive to them after his suffering by many proofs, appearing to them during forty days and speaking about the kingdom of God. For the disciples, “Jesus is risen from the dead” became their motivation. Jesus’ resurrection turned unbelieving, scared disciples into faithful, bold apostles who carried this message to the ends of the earth. And though Jesus’ ascension meant that he would visibly leave his disciples – his work continued through them. Jesus prepared the disciples for Pentecost, and the outpouring of the Holy Spirit. They would be sent to proclaim repentance and forgiveness of sins to all nations. The same story continues with us. The same Holy Spirit is poured out on us in the water and word of Baptism. And just like Jesus’ work he began in Book One of Luke’s Gospel and continued in Book Two, Baptism is God’s work he began in you on the day of your Baptism and continues in you throughout your life. In your baptism, the Holy Spirit is continually writing the story of Jesus for you, living in us, keeping us in the faith, calling, gathering, enlightening by the Gospel, pointing us to Jesus’ forgiveness, and giving us the fruit of faith in good works and love for our neighbors. Though it seems like Jesus’ ascension is the end of the story, it isn’t. Jesus’ words are like the table of contents for Book Two. Jesus’s story of the Gospel spreads just as Jesus promised. It begins in Jerusalem and spreads to Samaria; by the end of Book Two it had reached what seemed like the ends of the earth in the 1st century. Today, Jesus’ story continues. The ends of the earth have grown a bit since the first century. Book Two continues We’re part of the book of Acts. We each have our own Jerusalems and Judeas and Samarias: our children, friends, and family members; our coworker or neighbors you invite to Sunday School, church, and bible class. You don’t need to go to the ends of the earth to proclaim the Gospel, the ends of the earth are right here in Huntington Beach, in our soccer leagues, schools, and grocery stores. Seems like an impossible, overwhelming task. Left to our own, it is. But Jesus promised to be with us in Book two. I will be with you always, even to the end of the age. The disciples saw Jesus leave, but he was really going away in order to be with them. At his ascension, Jesus took his seat at the right hand of God’s power, which really isn’t a place at all. It means Jesus is constantly exercising God’s power on our behalf. It means he’s everywhere, always with us – not just in his divine nature, but also in his human nature. Jesus – true God and true man – is here with you just as he promises. Jesus prays for us, intercedes for us, guides and protects us. Jesus is continuing to write the story of our lives, our Book Two, because he has already written our names in his book of life. Book Two has continued far beyond the completion of Luke’s second writing. In fact, Book Two continues to the end of time. Even the end of the Book of Acts leaves it open for a third book. Some of the best stories, after all, are written in trilogies: Lord of the Rings and Star Wars. Luke didn’t write a Book Three. But if he did, we could imagine how he might write the story, a never-ending story of Jesus. Someday, there will be a Book Three, and it’ll begin like this, This Jesus, who was taken up from you into heaven, will come in the same way as you saw him go into heaven. Jesus ascended into heaven to prepare a place for us and promised to return to take us home with him. And that is one book, one great story that will never end. But I suppose that’s a story for another day, an endless day.